Use SanMar as your free web developer to create customized e-commerce sites—open 24 hours a day—using as many SanMar products as you like. These sites allow your customers to buy directly from you online—no matter when they shop. You can create as many free sites as you like. Customize your site from a variety of colors, themes and layouts - now with NEW options. Then select the SanMar products you want to feature. 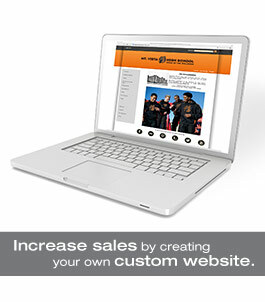 And you can also create custom sites for specific customers. Check out these sample websites for ideas, and then build your own customized site.